Because of the beautiful and expansive collection of images they provided, we were able to create a truly one-of-a-kind website for them. 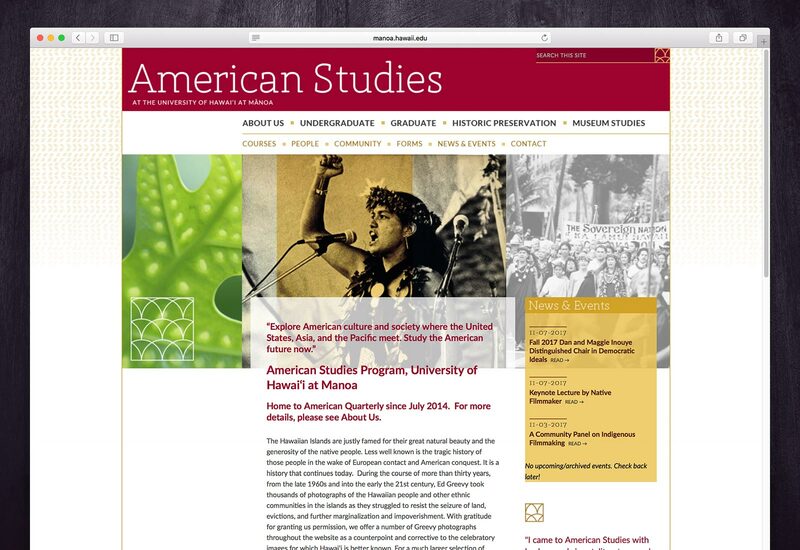 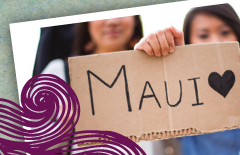 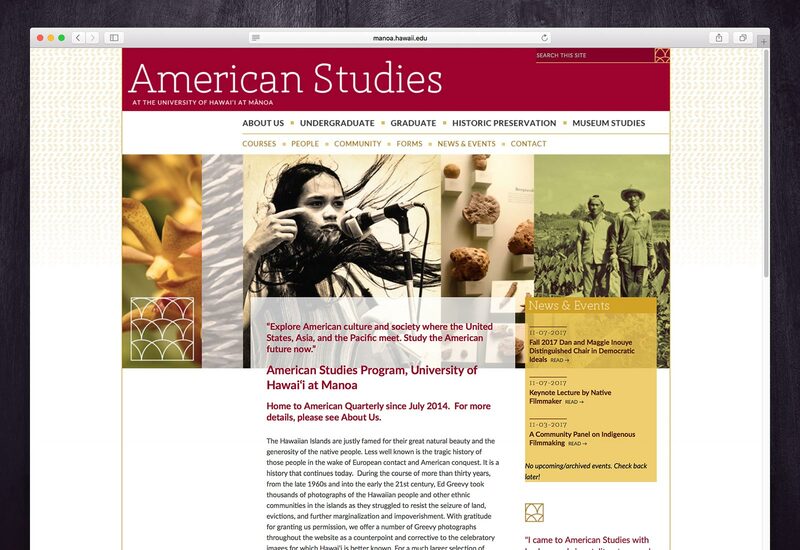 The American Studies department at the University of Hawai‘i at Mānoa wanted a website that they could maintain on their own. 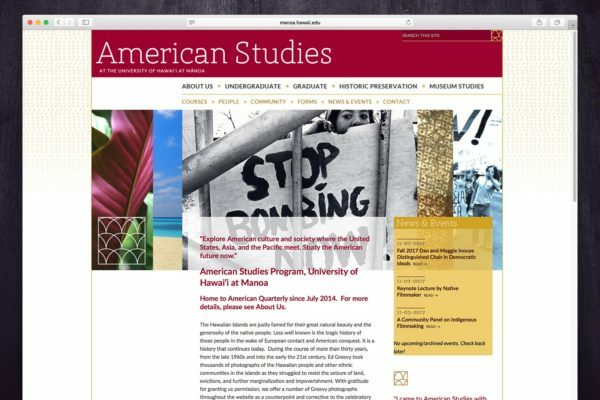 Stacey Leong Design created a customized wordpress theme that would be functional and beautiful. Initially designed by Angelica Rabang, with additional headers designed by me, the WordPress site completed with my coding/programming. 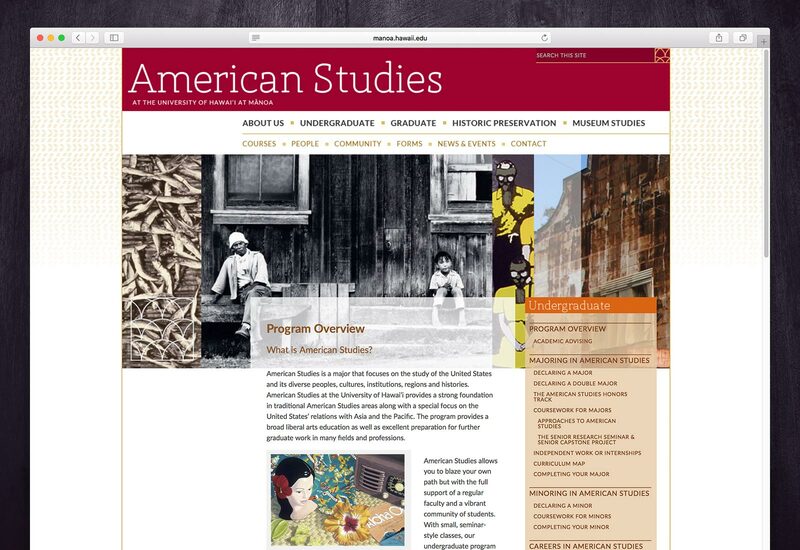 View the American Studies website.